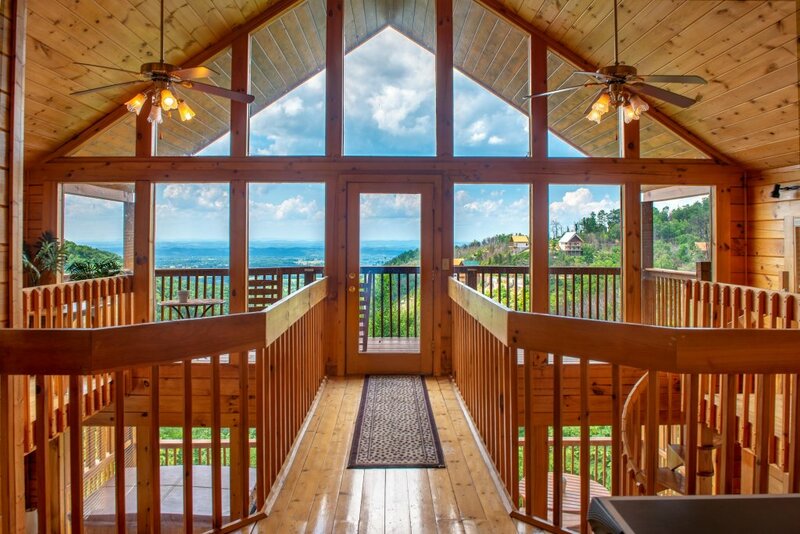 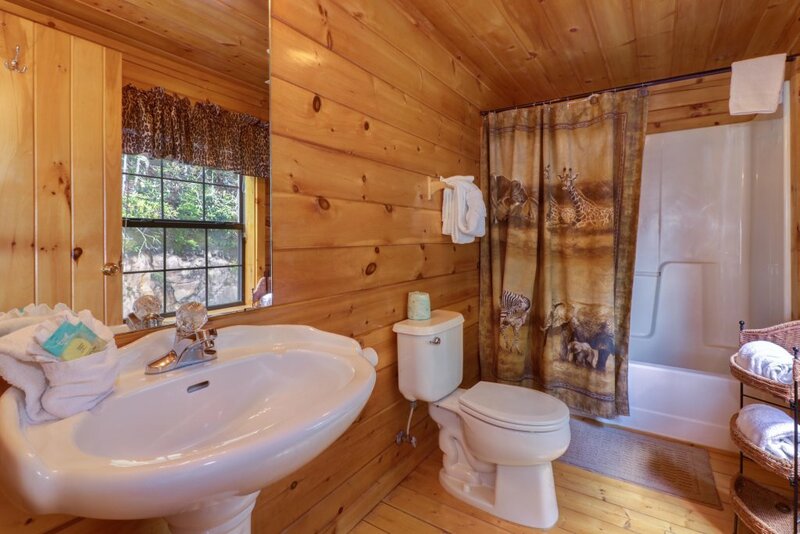 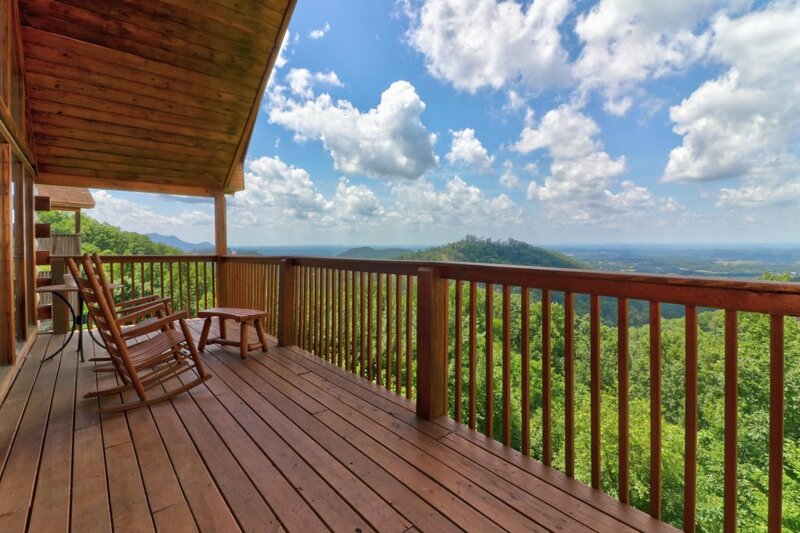 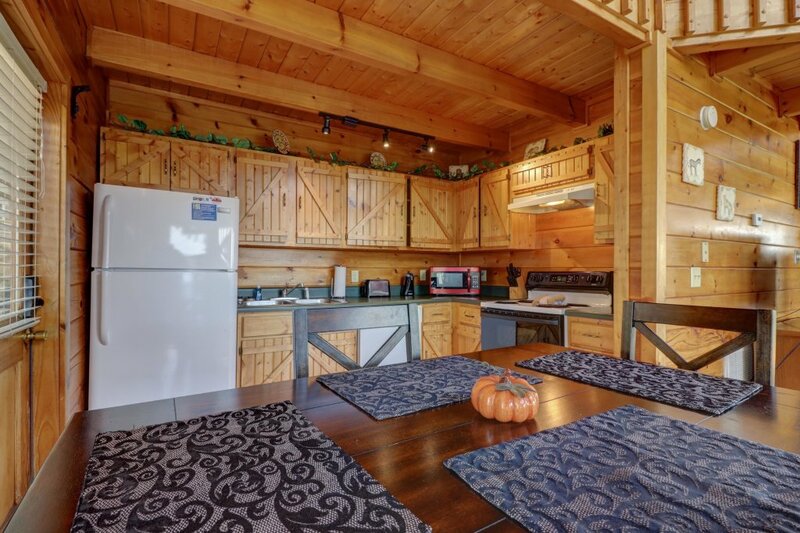 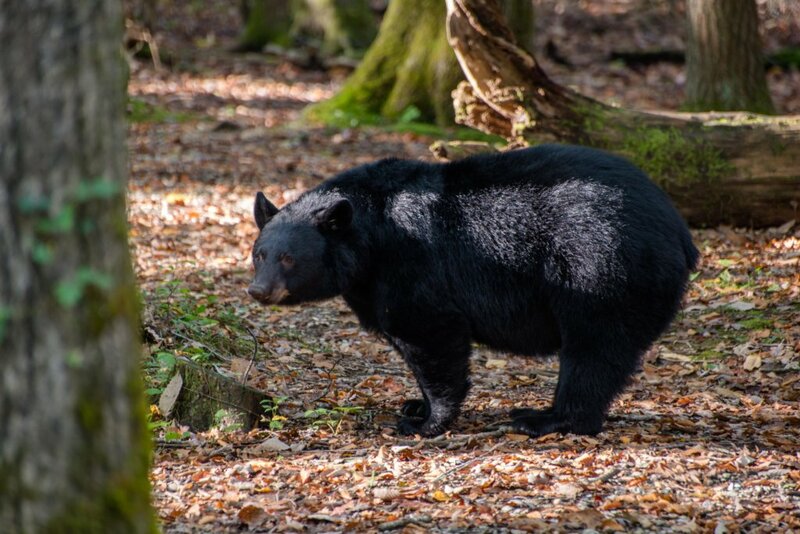 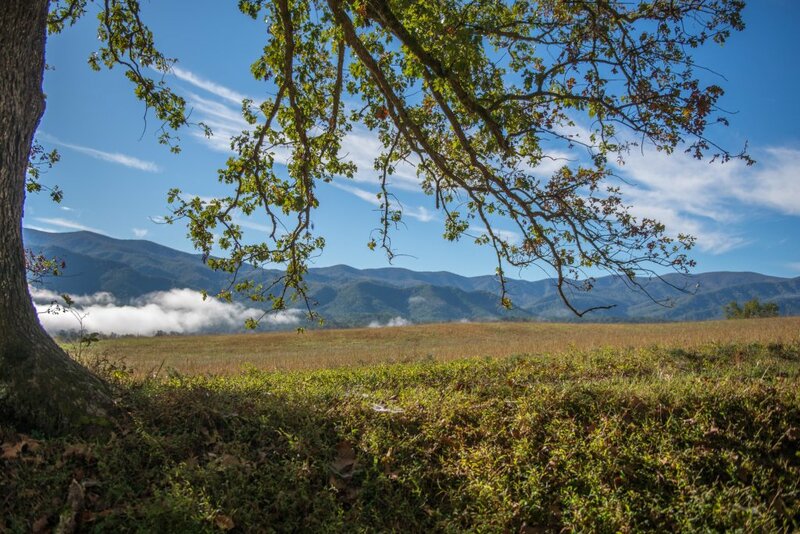 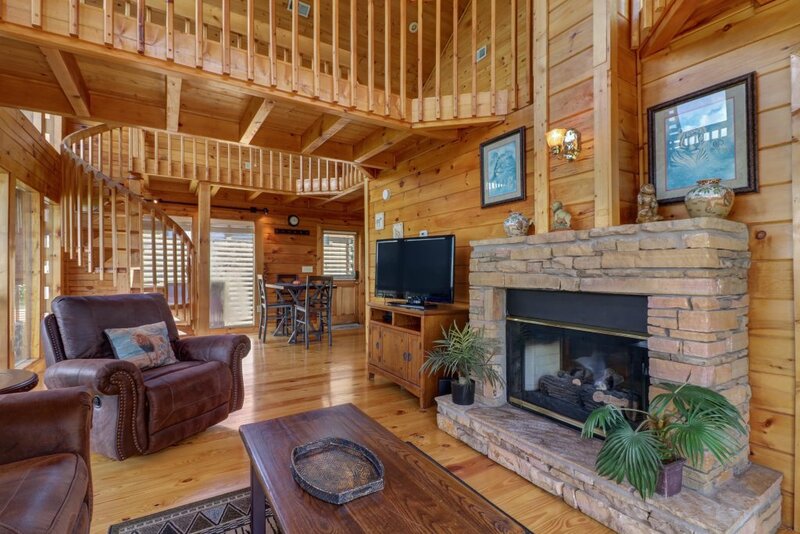 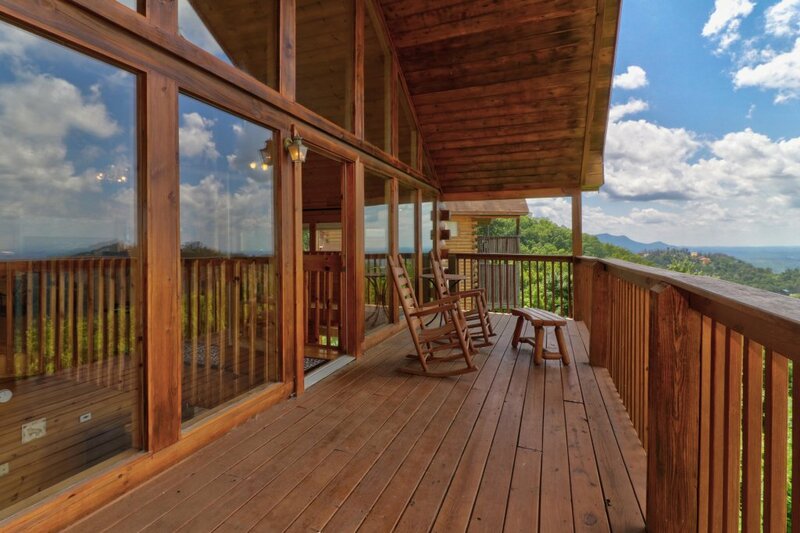 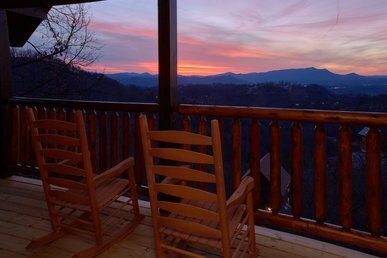 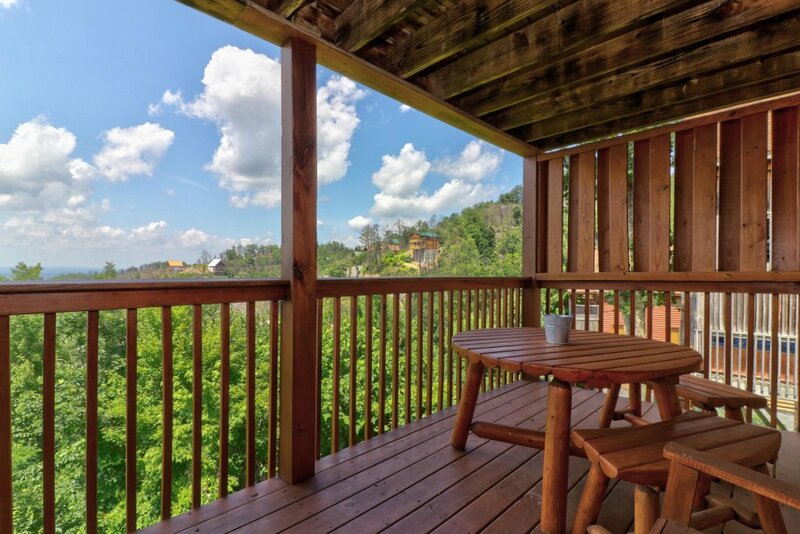 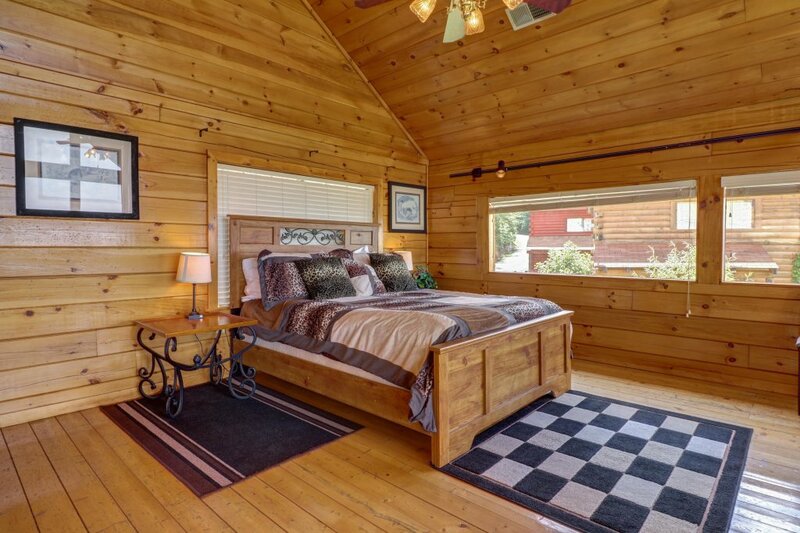 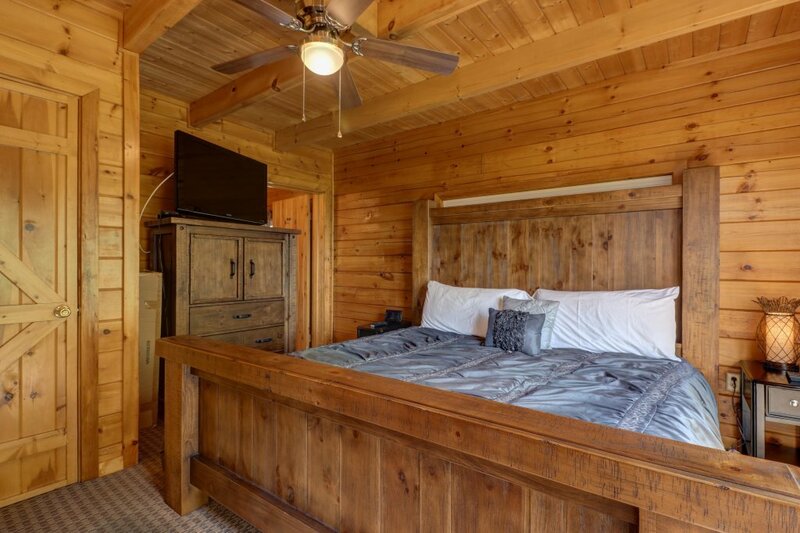 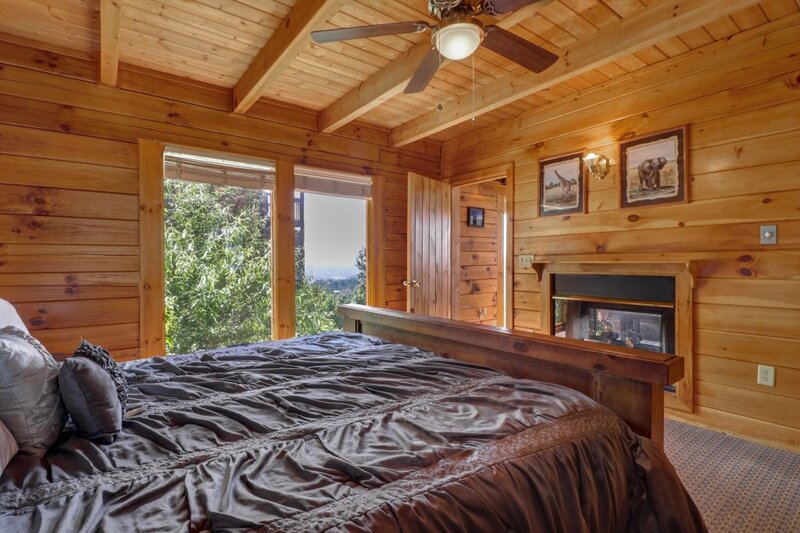 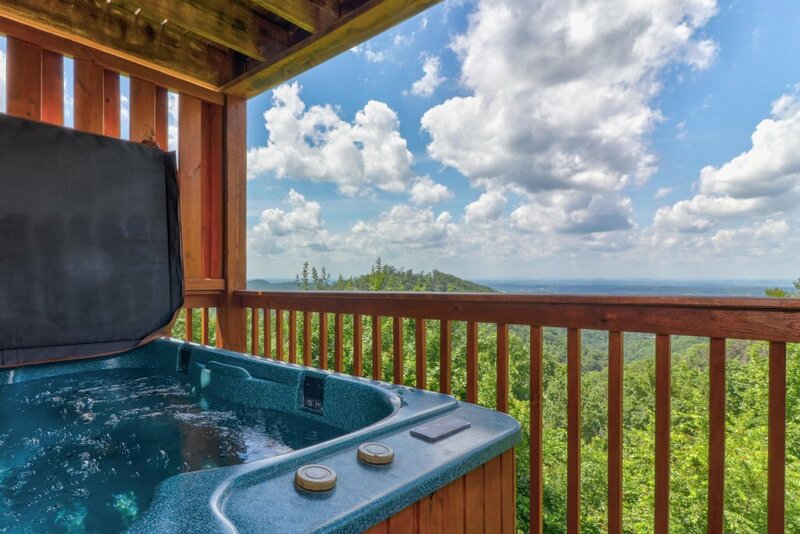 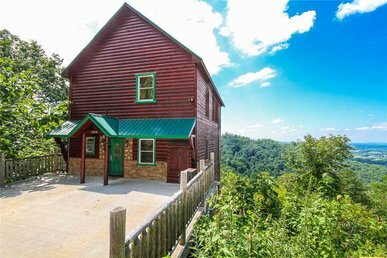 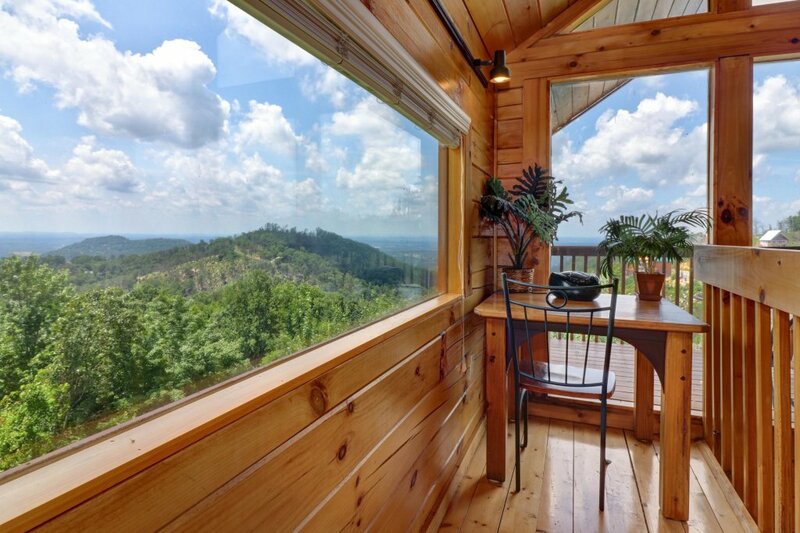 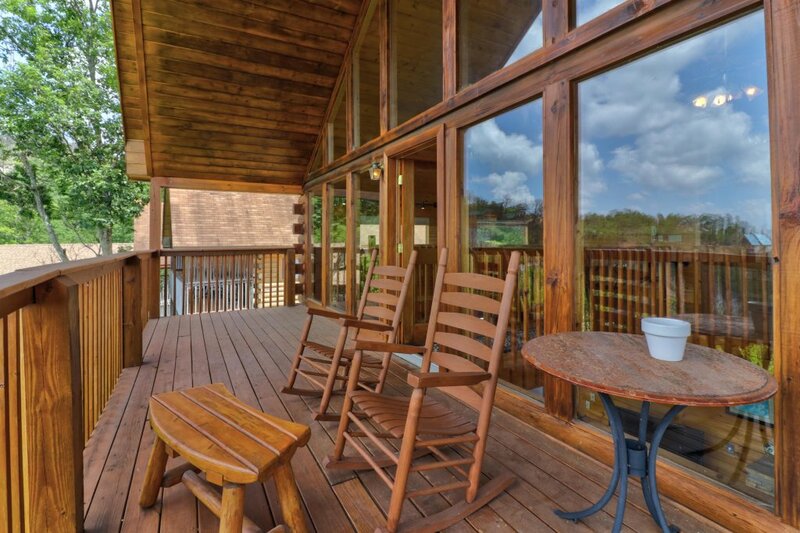 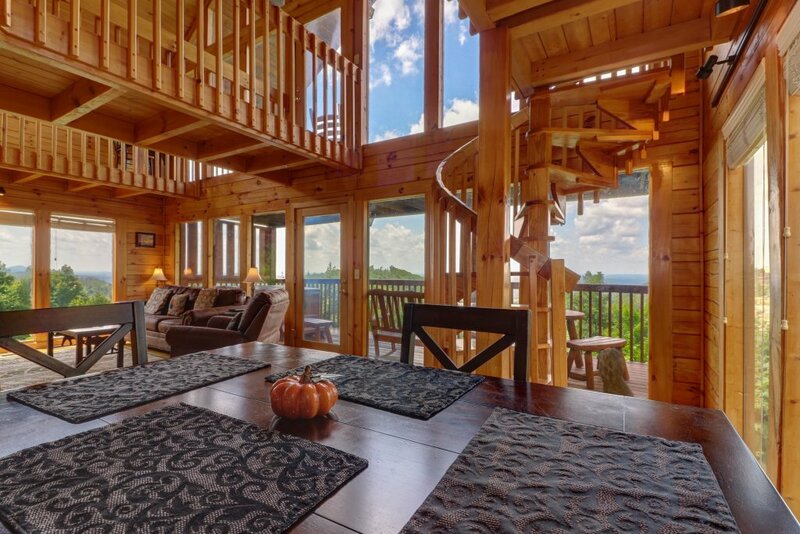 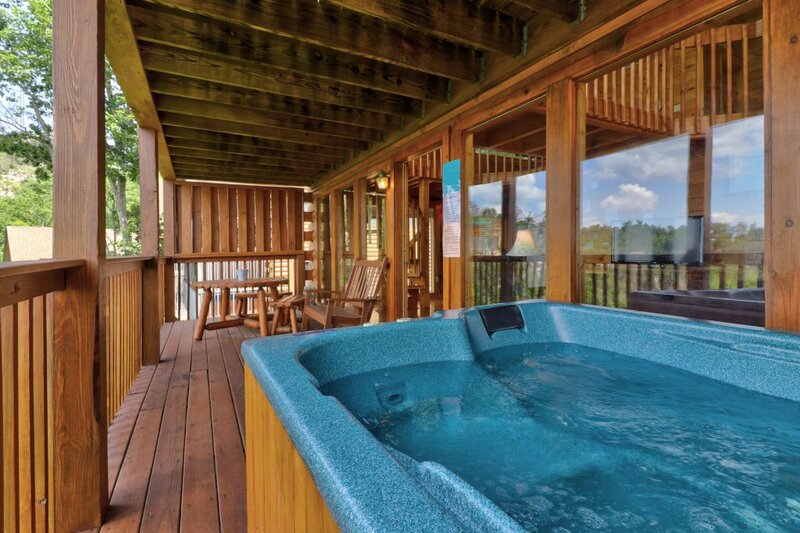 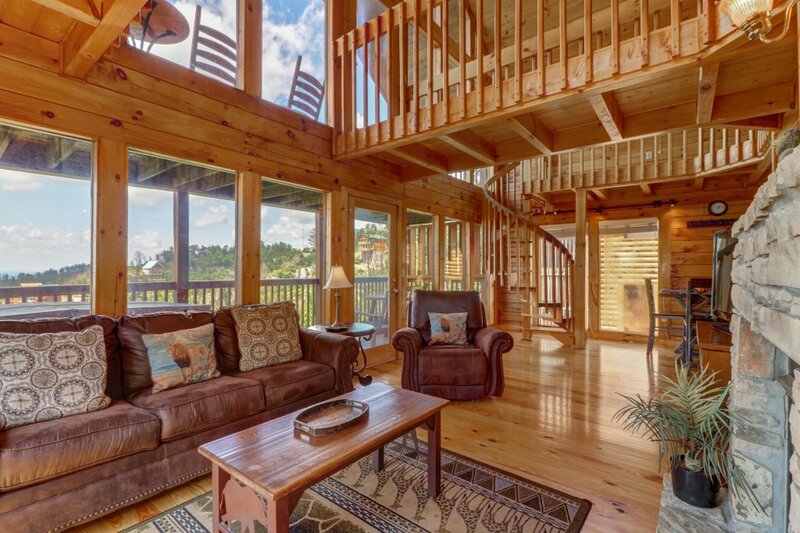 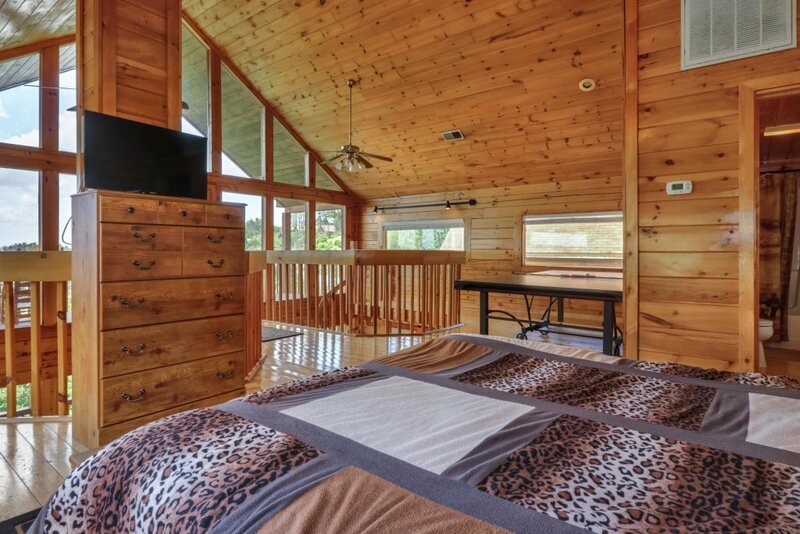 Marvel at one of the most majestic views in Tennessee at this two-bedroom Sevierville home, a mountaintop lodge with a private hot tub, a multi-level deck that overlooks mountains and valleys, and nearby access to Dollywood and Great Smoky Mountains National Park! 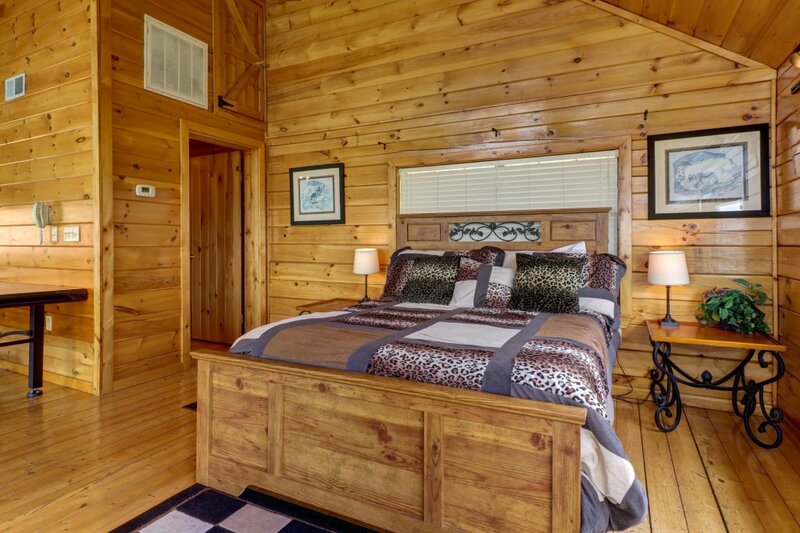 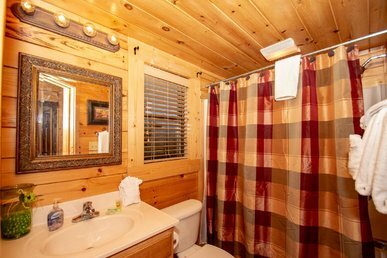 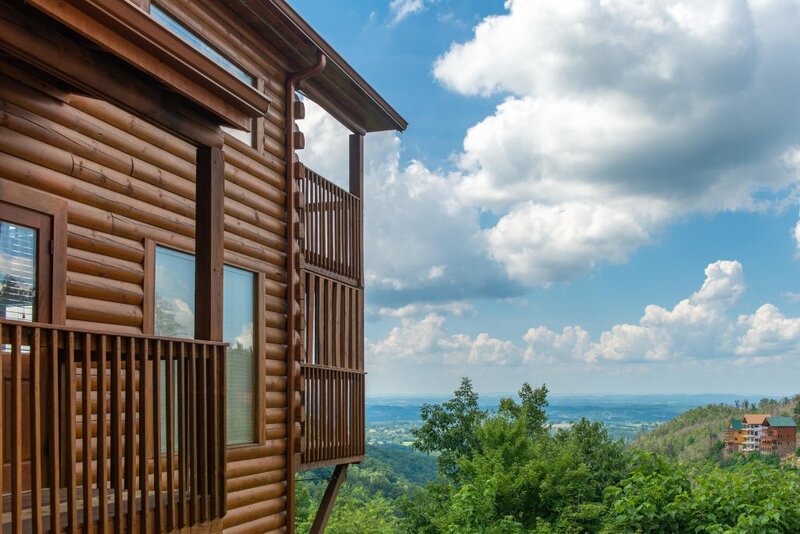 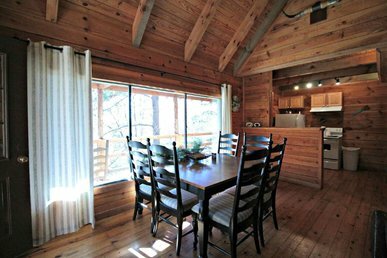 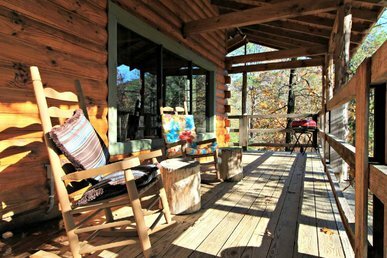 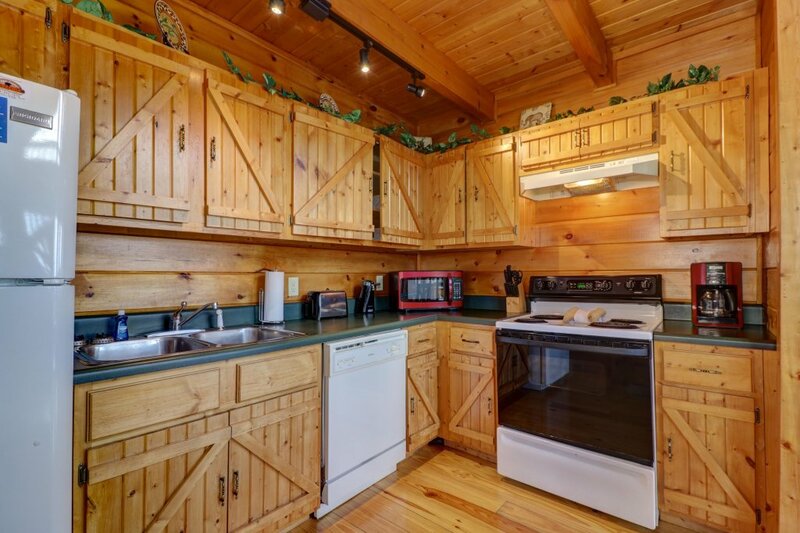 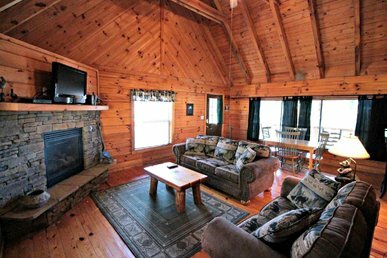 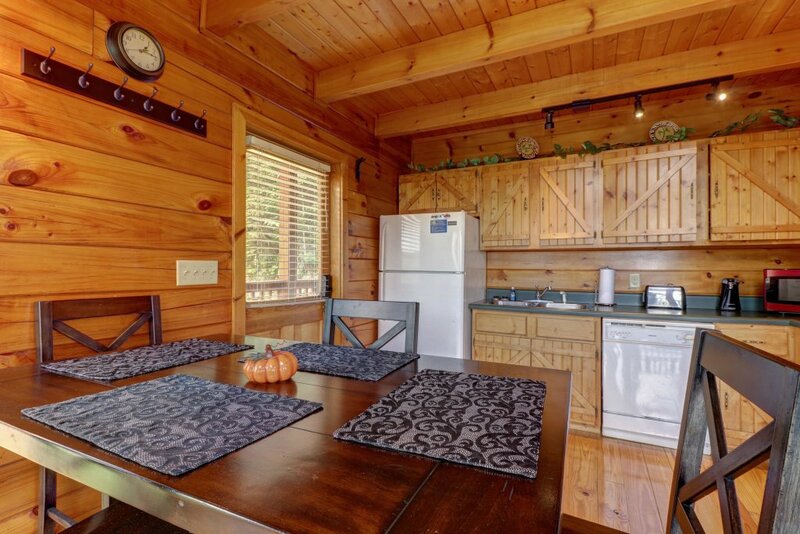 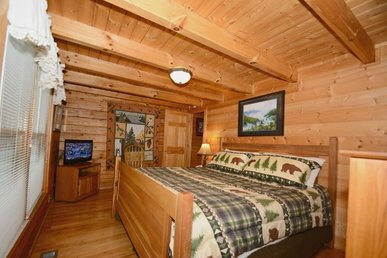 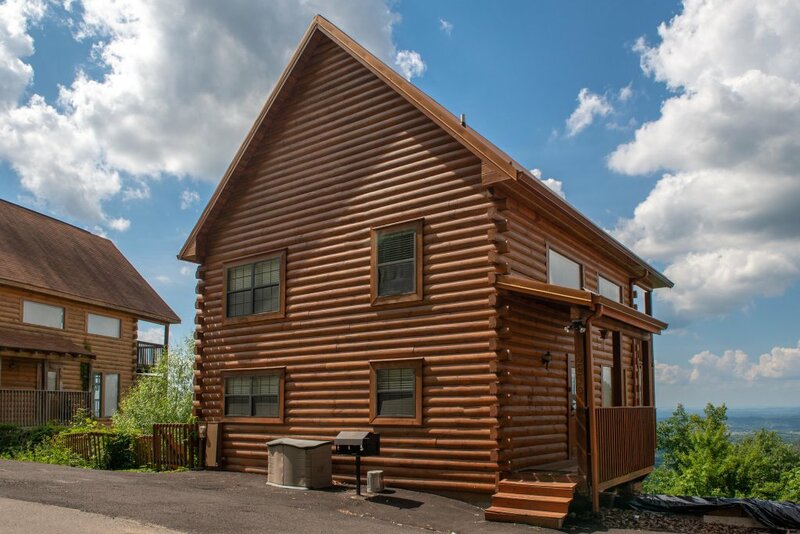 This atmospheric log cabin sits six miles east of Pigeon Forge, up on an exposed hilltop with grand views of the Smoky Mountain foothills. 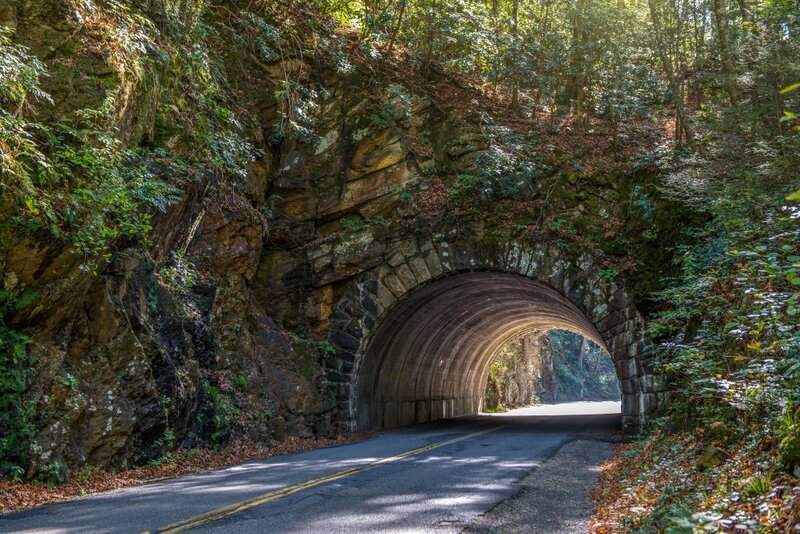 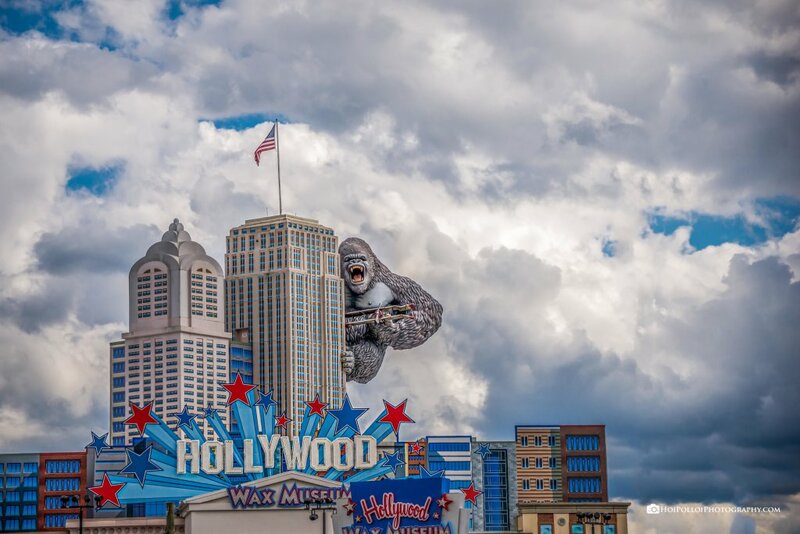 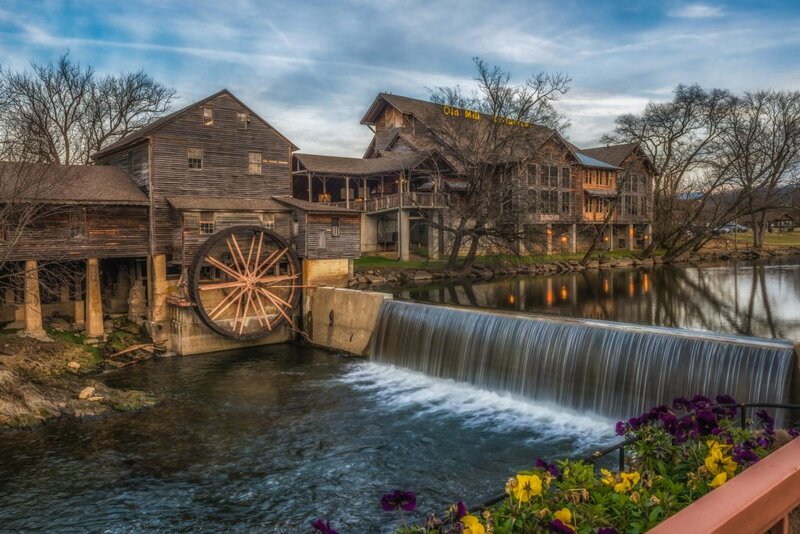 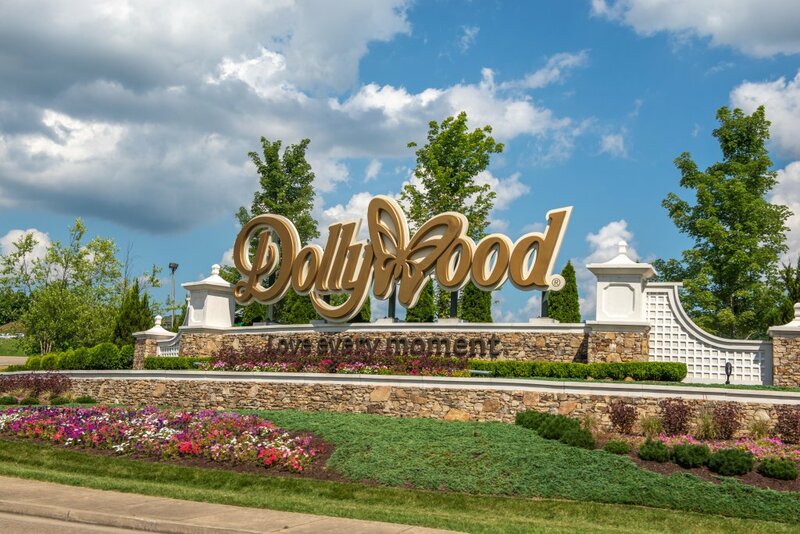 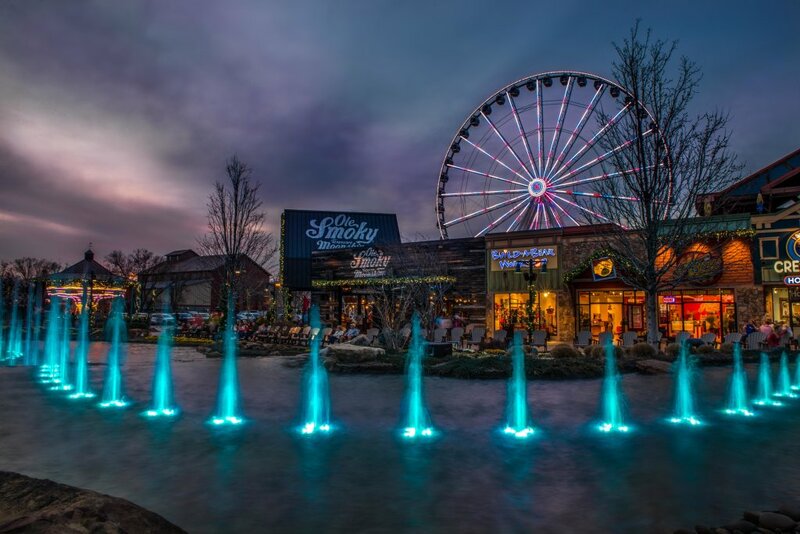 Treat your loved ones to fun-filled days at Dollywood and Splash Country five miles west, and take unforgettable hikes and drives through the National Park 11 miles south. 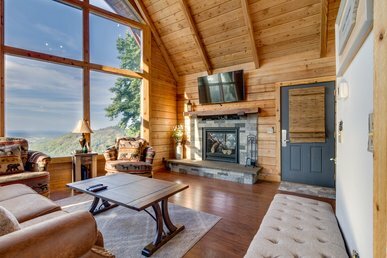 Whether you're seeking romance or a bit of blissful solitude, you'll find it in this air-conditioned living space. 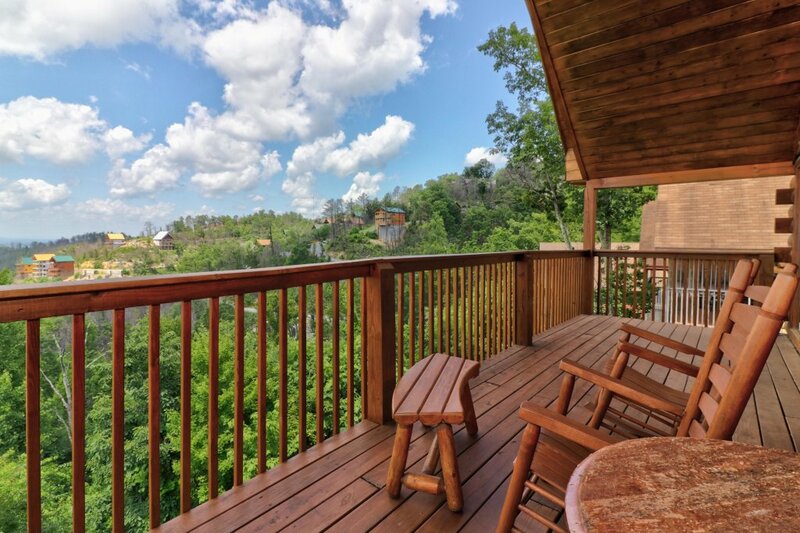 Finish your morning crossword in a rocking chair on the deck, fill the kitchen's natural wood cabinets with your favorite ingredients, and use the free WiFi to share photos of your panoramic view. 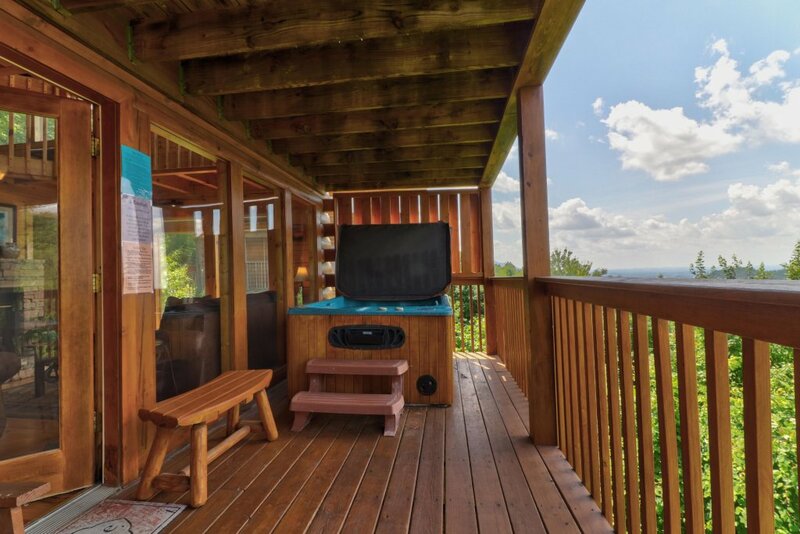 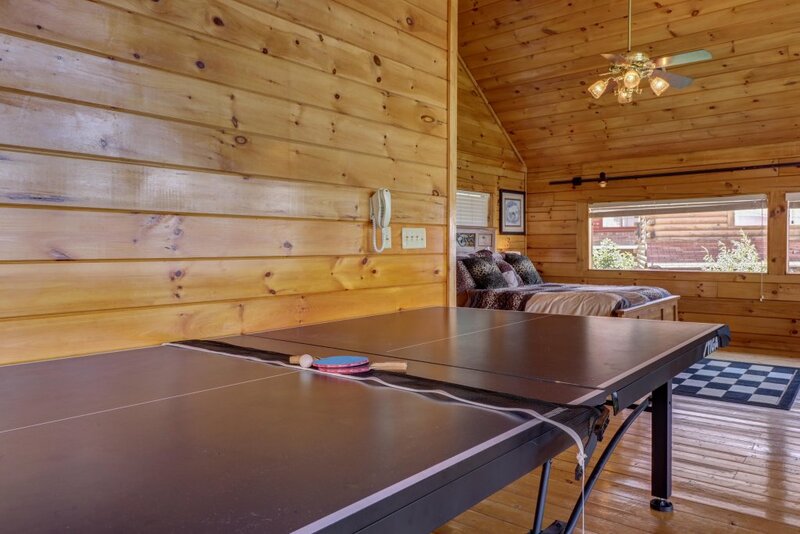 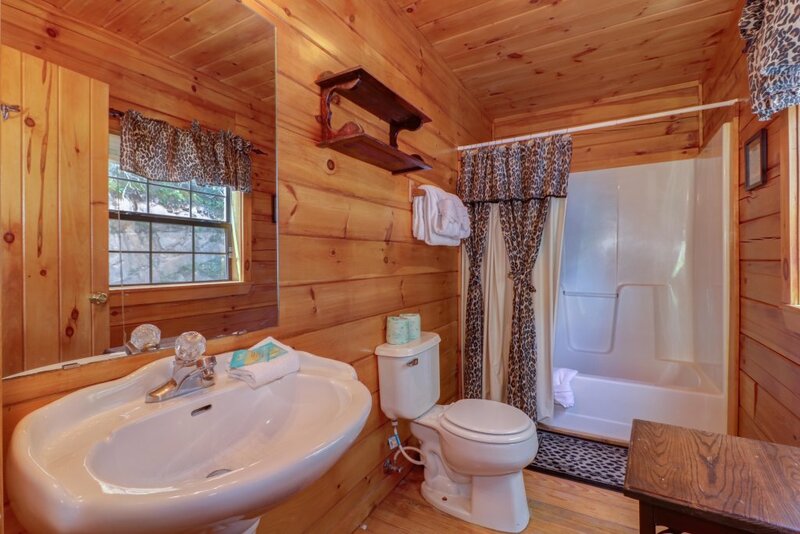 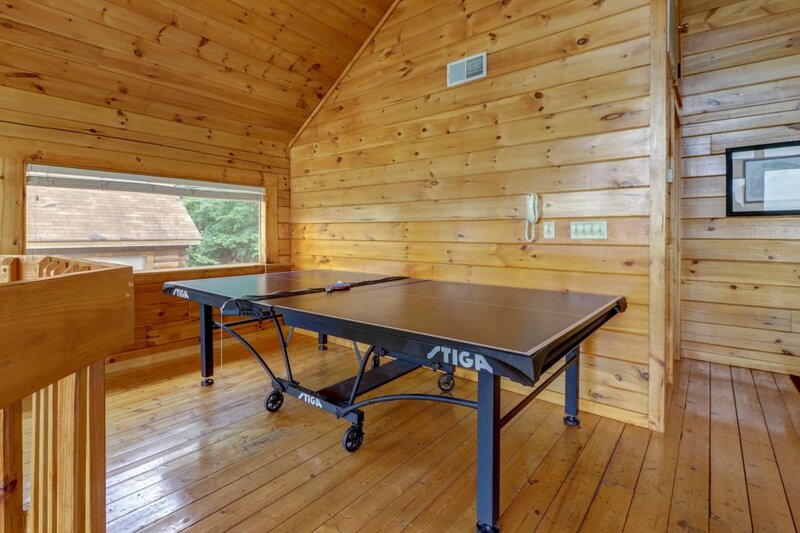 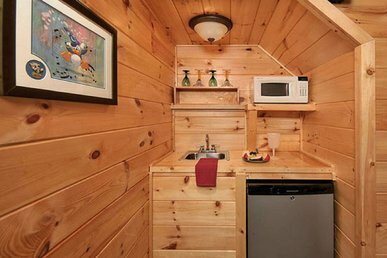 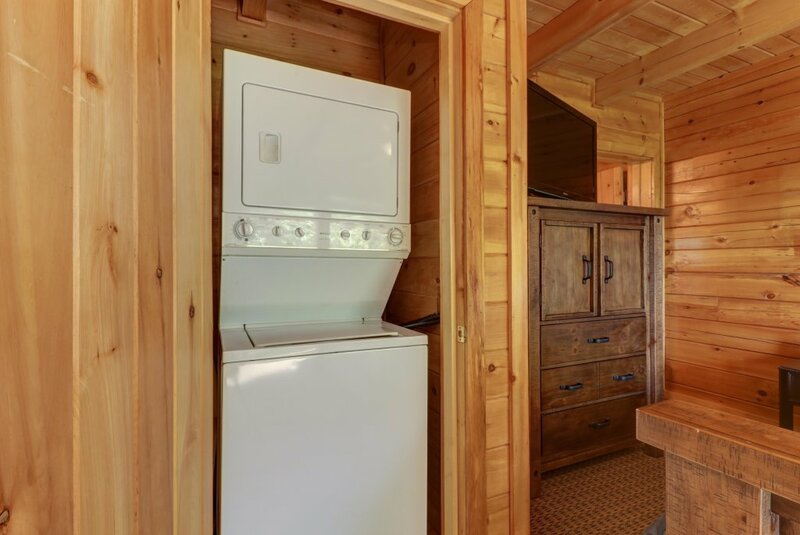 Each evening, you can count the stars from a seat in the hot tub, curl up by the double-sided gas fireplace, and play Ping-Pong or watch DVDs on the flatscreen cable TV. 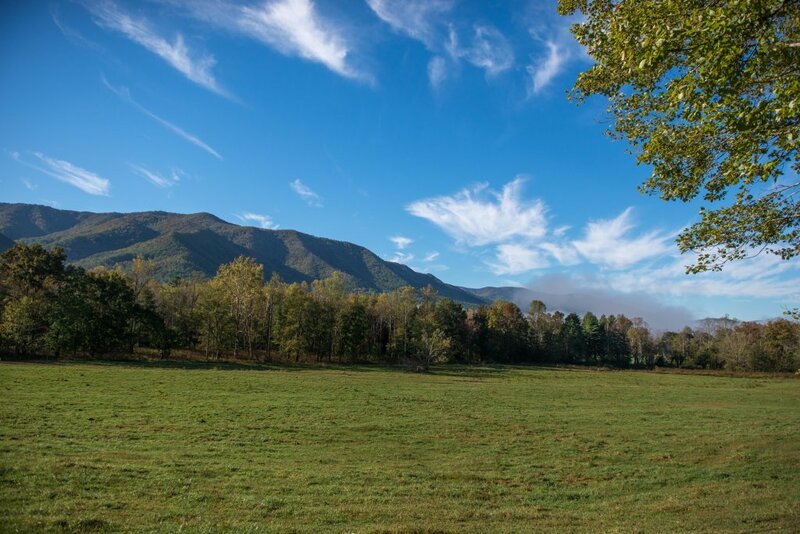 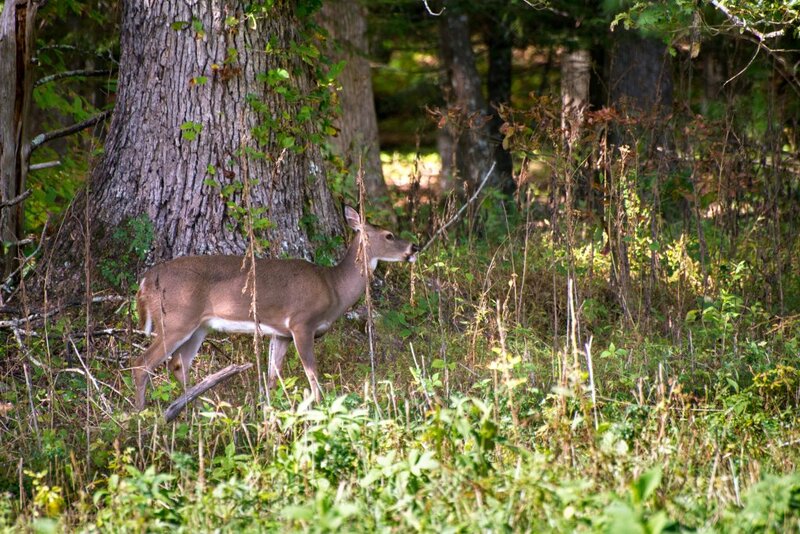 Begin a new annual tradition at this Sevierville home!